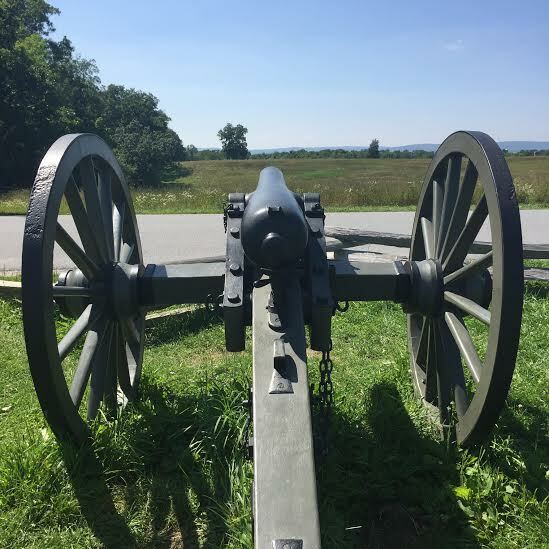 IAVA’s DC Policy Department and its summer interns traveled to the Gettysburg Battlefield On July 11, 2015 for a day of team bonding and education. Our adventure began at 10 am on Saturday, July 11 to meet IAVA’s Chief Policy Officer, Matt Miller, hop in his truck and head out to Gettysburg for the day. Being from North Carolina himself and a frequent visitor of Gettysburg, Matt had many of his own opinions on the events that transpired. 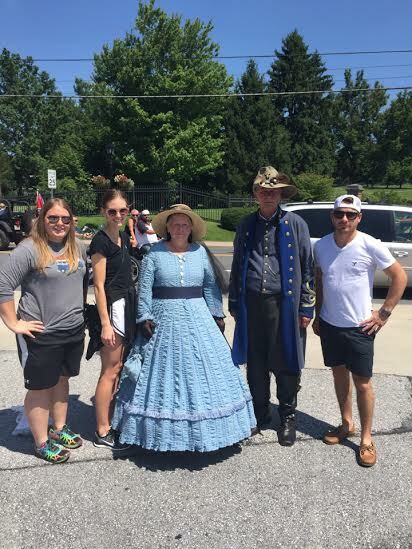 For us interns, having never seen Gettysburg before, our opinions were limited to what we were taught in high school. In my mind, Gettysburg was just a battle fought during the Civil War that the Union Army had won involving an open field and a small town. It was so much more. Our first stop was the visitor’s center where we watched a movie, narrated by Morgan Freeman, which told the entire background story of the Civil War and the reasoning behind it. After the movie, we were escorted upstairs to the cyclorama, a large 377 ft painted scene of the battle of Gettysburg. Small lights lit up portions of the pictures as the narrator told us the story all precisely in tune so the we could see explosions as if they were there. We then began our audio tour through the town and hills of Gettysburg. First off, Gettysburg is a much larger town than what we originally thought. Ten roads converged into the town of Gettysburg where some of the fighting took place. The area surrounding Gettysburg was also much more vast with open fields than the original large wheat field I had thought it to be. The fields were open for the most part which meant finding cover to fight in was almost impossible. Soldiers had to really be passionate for that which they fought for going into the Battle of Gettysburg. Our audio tour wasn’t the normal audio tour that you would find at an art museum. It was a CD that you put in your car to listen to as you drive through the hills around Gettysburg. We began at the top of a hill on the Union side where the first shot was fired. All around were the massive open fields where soldiers fought and marched without cover. Along the way there were markings of infantry divisions and monuments in their honor, all unique and different. High ranking officers on both sides had their own statues as well. General Lee’s being the largest, not at all surprising. All the states that participated in the battle commemorated the fallen with a statue or marking. Some of the largest statues included North Carolina and Pennsylvania while states like Michigan and Florida seemed small in comparison. The countryside was riddled with these markers each more different than the last. The entire atmosphere was oddly peaceful and beautiful, despite the tragedy that occurred there. One of our last stops on the tour was driving up the top of Little Round Top where the Union held up against the barrage of the south. Standing on top of this mountain, seeing all the land out in front of you and the steepness of the hill side really put in perspective the term, fighting an uphill battle. The south didn’t have much of a shot but they fought anyway. They fought for what they believed in. Before leaving Gettysburg, we made a final stop to walk through the national cemetery and saw where Lincoln delivered the Gettysburg Address. The statue created for him was amazingly detailed and held his speech carved into the sides. While not even the featured speaker, his 272 word speech is considered one of the greatest in history. All in all we walked over 10,000 steps this day and the entire experience was eye opening for myself and my fellow interns. 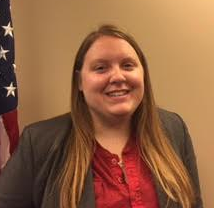 We gained great knowledge from the video tapes as well as the smaller fun facts attributed by IAVA’s own Matt Miller. It’s fair to say that nothing is fully understood until it is seen in person. What we saw was far more than what we could ever read in any textbook. 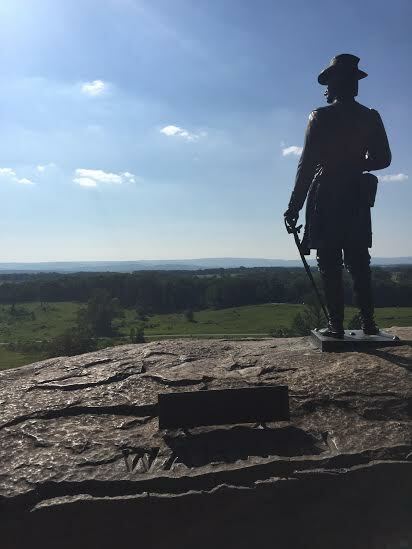 The magnitude of the battle, the casualties, and the pride and honor of both sides make Gettysburg a truly hallowed ground. Little antique stores and souvenir shops overflowed with reminders of the events that occurred there in July of 1863. It was and will be one of my favorite D.C. experiences.